Developed with dermatologists, CeraVe Renewing SA Body Cream for Rough and Bumpy Skin, has a unique formula that exfoliates and moisturizes while helping to restore the protective skin barrier. Salicylic acid exfoliates and softens to smooth rough skin, lactic acid exfoliates to renew skin’s surface and three essential ceramides (1, 3, 6-II) help to restore the protective skin barrier. Ingredients: Purified Water, Glycerin, Behentrimonium Methosulfate and Cetearyl Alcohol, Mineral Oil, Glyceryl Stearate SE, Ammonium Lactate, Salicylic Acid, Triethanolamine, Cetyl Alcohol, Niacinamide, PEG-100 Stearate, Cholecalciferol (Vitamin D3 in Corn Oil), Ceramide 3, Ceramide 6-11, Ceramide 1, Cholesterol, Phytosphingosine, Hyaluronic Acid, Phenoxyethanol, Dimethicone, Methylparaben, Edetate Disodium, Propylparaben, Sodium Lauroyl Lactylate, Carbomer, Xanthan Gum. Dosage: Apply liberally as often as needed, or as directed by a physician. Instructions: •Apply liberally as often as needed, or as directed by a physician. •Use sunscreen or other sun protection to prevent sun sensitivity while using this product. I have used this product for more than a year now thanks initially to a Paula's Choice recommendation. Having now tried and used other SA products and ALL of the CeraVe line, I can confidently say that the CeraVe products are the top of the line -- with what they include and what they DON'T include! They are the only truly unscented, non-irritating line I've ever found, and I appreciate that I can FEEL a difference between the products -- the SA Cleanser vs. the Hydrating Cleanser, for example. It SHOULD feel different, by definition of included ingredients!! My skin looks and feels great, and at 48 years old that's saying a lot, apparently. This product was recommended by my dermatologist and I must say I'm so glad she did! I was given a sample and from the first application, I saw results. I couldn't find the cream in the store or pharmacy in my area so I ordered it online and did fast deliverly. It has been more effective than many of the prescriptions I have received in the past. I'm so satisfied with the results and would recommend this product to anyone who has extremely dry skin because it left my skin feeling baby soft and smooth! I have been using this product for a few years now, it was recommended to me by my dermatologist. My skin is very dry and scaly patches and bumps form on my lower arms and legs. This is the best cream I have found that will keep my skin moist and removes all the dead skin that forms. I also use two other CeraVe products, the moisturizing cream and the renewing lotion. The moisturizer I use on the remaining parts of my body and the lotion on my face. I would highly recommend these products to people with dry skin, especially older women like me. My doctor recommended this product! Thank you! 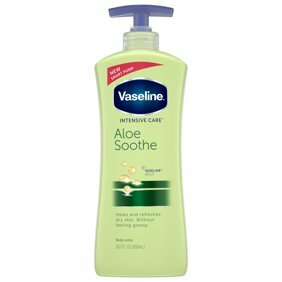 My doctor recommended I purchase this for my extremely dry skin. I have tried several products in the past but I have allergies to products and with my Excema it was hard to find a product that I could use and would work. The cream is better then the lotion. The cream is so creamy. It feels instantly good on your skin. It doesn't bother my excema when I put it on, which is amazing because that was a big problem. It doesn't have harsh chemicals in it. I live in the desert and My skin was so very dry. This cream is a lifesaver. Suggested by my Dermatologist. It is excellent for dry skin. I am a senior and many years of sun have dried my skin and this is the best of all the lotions and potions Rx and OTC that I have used. Some have been like a paste that would not spread and others were useless. This really does the trick. A little more expensive than the regular CeraVe but I use less, it goes farther, and works like a charm. It's not greasy and goes in well.